It’s here! It’s here! It’s finally here! 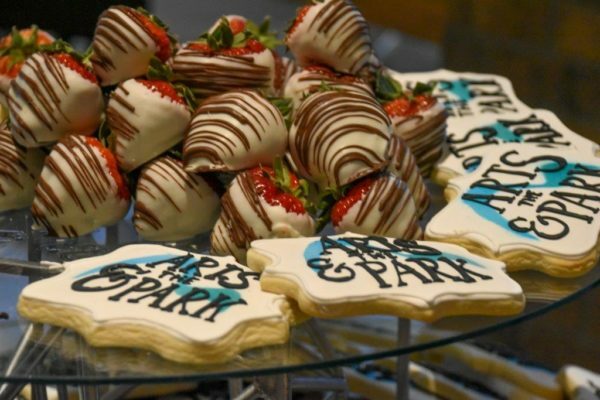 The Launch Party signals the beginning of Arts & The Park 2019 on Friday, April 26, from 6 pm–8 pm at Wheatley Plaza in historic downtown Hot Springs. Entertainment planned for the evening includes chalk artist Craig R Thomas, live painting by YouTube sensation The Art Sherpa, music, dance, art by local artists – truly an evening celebrating the arts and our local artists. The evening will also feature the culinary arts with delicious hors d’oeuvres by Catering Temptation and refreshing beverages. HSACA will present the 2019 Arts Ambassador Award to June Simmons, an avid arts volunteer, as part of the evening’s celebration. This year’s Arts Ambassador Award is a beautiful piece of art specially designed for the Arts Ambassador by Gene Sparling. Tickets to the Launch Party are available in advance for $30 here Purchase Tickets or for $35 at the door. The event is open to the public and all ages are welcome. For more information visit our FaceBook page, HotSpringsArts.org or call 501-321-2027. The Hot Springs Area Cultural Alliance is so happy to bring you another year of celebrating this great festival. We can’t wait to see you there! No Account Needed! Click on at the bottom of the PayPal screen. Or bring it with you to the party. Note: you will not be redirected to PayPal.